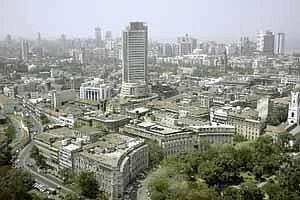 Mumbai: It is Friday, end of the week and profit booking seeps in as investor’s assess the sustainability of recent gains. The US markets snapped the three day winning streak after the Dow Jones clocked its biggest one day advance since March 2009, reports Wall Street Journal. A weaker-than-expected weekly report on jobless claims set a cautious tone ahead of Friday’s monthly jobs report. The Dow Jones Industrial Average shed 0.2%, the Nasdaq Composite Index eked out 0.2% gains and The Standard & Poor’s 500 Index was off 0.2%. European markets also ended lower following downbeat economic data that offset strong demand for Spanish and French bonds. Global manufacturing production headed lower in November, as the JP Morgan Global Manufacturing Purchasing Managers’ Index (PMI) came in at 49.6. A reading below 50 indicates contraction from the preceding month. US manufacturing, however, was better than expected and auto sales in the US rose to a near two-year high. Back in India, Kerala-based Federal Bank Ltd is eyeing small and medium enterprises (SMEs) and Keralites living outside the state after failing in an attempt to buy its competitor Catholic Syrian Bank (CSB) due to differences over valuation. The chief executive officer of the bank said that going forward the bank will continue to focus on organic growth for expansion. Apart from Maruti Suzuki, whose car sales dropped 17% in November over the same month last year, other car manufacturers have posted double digit growth. Jet Airways will be in focus after its patent challenge against Virgin Atlantic Airways got dismissed. The Chennai patent office dismissed a challenge filed by Jet Airways, and the British Carrier Virgin may finally get the design and technology used in its upper class seats patented in India. Kingfisher Airlines may continue to see rough weather as the troubled airline will now be put on cash and carry mode from Saturday, reports Wall Street Journal. The debt ridden airline will have to pay the Mumbai International airport for each flight that it operates, instead of getting a credit period. The airline owes the airport $17 million over six months; it has not made a profit since 2005 and has also allegedly defaulted on payment to one of its oil suppliers. State Bank of India has raised interest rates on Foreign Currency Non-Resident (FCNR) accounts and Non Resident-External rupee term deposits accounts by 5-15 basis points, reports Economic Times. The country’s largest lender and several other banks are increasing the deposit rates after the RBI allowed the hiking of interest rates on FCNR and Non Resident-External deposits to increase the flow of foreign exchange to boost the rupee. Reliance Industries has told the government that production at the KG D6 could plummet drastically if its investment plans are not approved, reports Economic Times. Earlier this week the India’s most valuable company started arbitration proceedings against the government for recovering cost from the KG D6 Basin. RIL has been waiting for an approval for capital spending and the production sharing contract to reflect the entry of its strategic partner, British Petroleum. Lastly, the government could be spying on you after Julian Assange, WikiLeaks founder launched the publication of hundreds of files that gives governments tools to spy on their citizens, reports Economic Times.The files reveal the activities of about 160 companies in 25 countries which develop technologies to allow the tracking and monitoring of individuals by their mobile phones, email accounts and internet browsing histories.